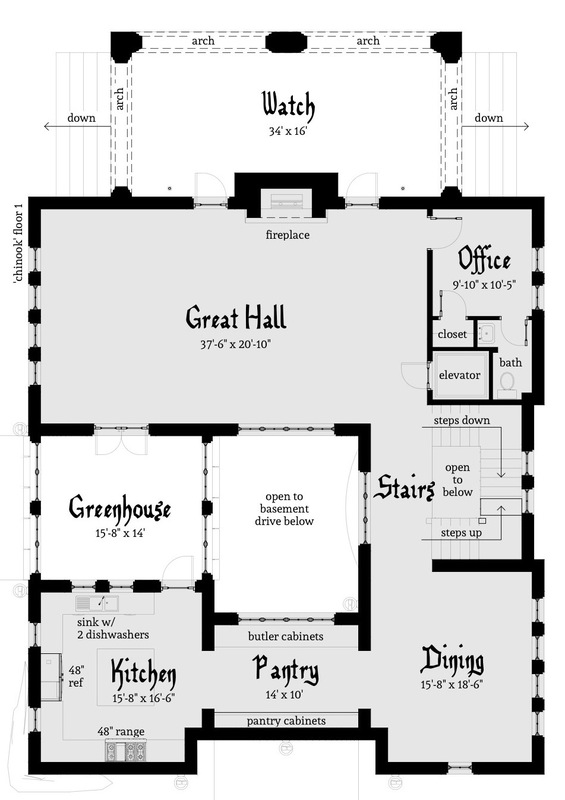 The Chinook Castle House Plan. Chinook is a large castle tower house, with a central light well. The drive-out basement level provides access to the foyer stairs and elevator, and parking for large vehicles. 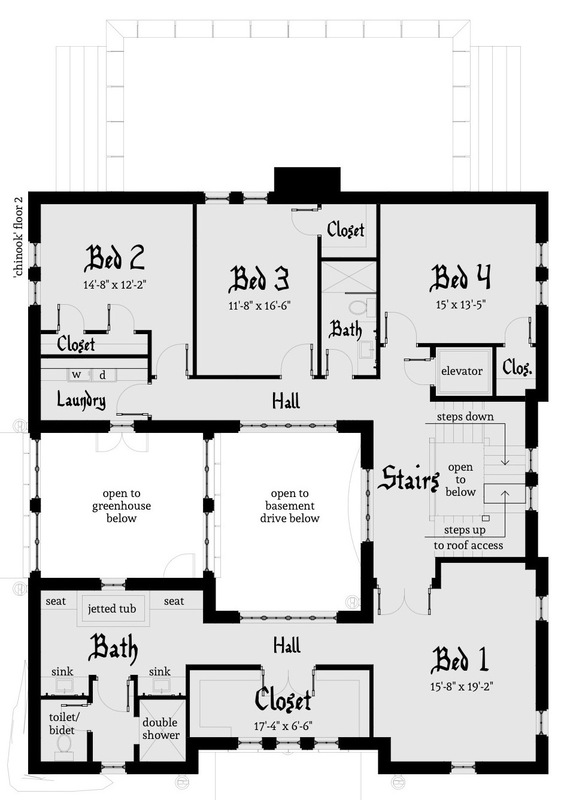 The main level houses a generous living, office, bath, dining, pantry and chef’s kitchen. The kitchen is designed around a 48″ refrigerator and 48″ gas range. Adjacent to the kitchen is the 2-story greenhouse, where you can grow your own herbs, vegetables and fruit trees. 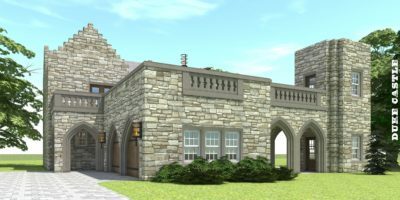 The living space includes a wood-burning fireplace, with access to the rear porch. 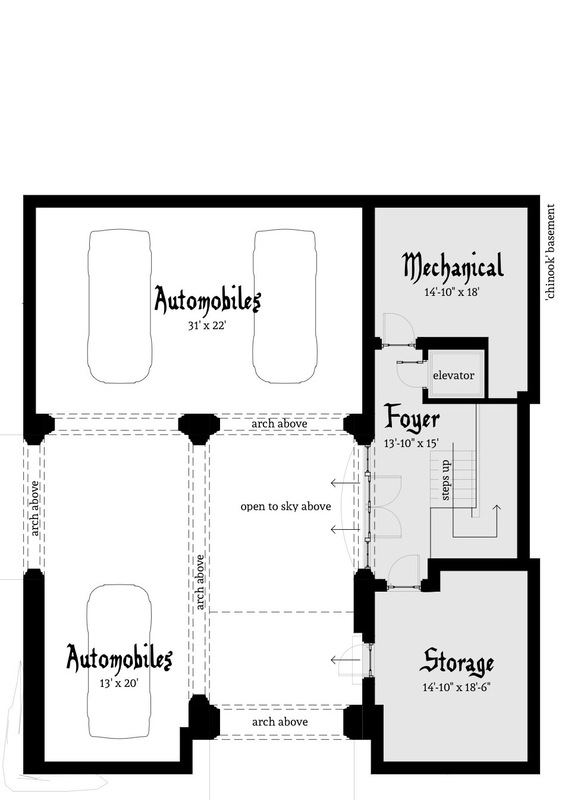 The upper floor holds 4 bedrooms, 2 baths and the laundry. The master bath includes a jetted tub with sitting areas, double shower and double sink. The stairs lead up to outdoor living spaces on the roof. The foundation is designed with concrete basement walls and a concrete slab on grade at the parking and foyer. 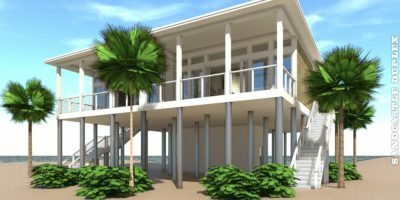 The upper floors are pre-engineered wood trusses and steel beams. The roof is a membrane over plywood deck, and pre-engineered wood trusses at 12:12. 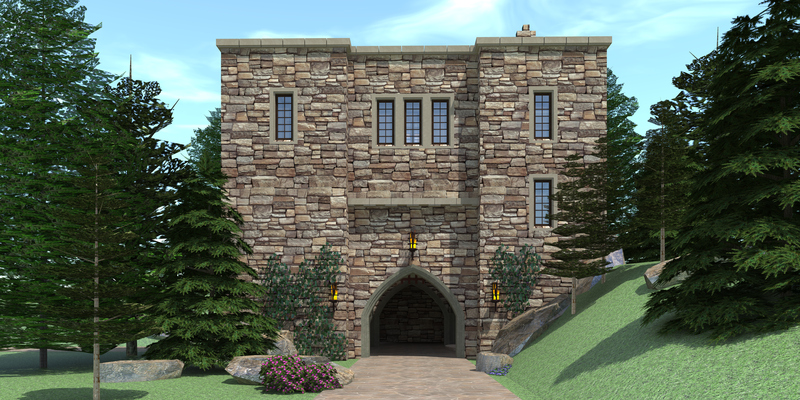 The exterior is finished with stone and cast concrete (or granite) over the wall structure.